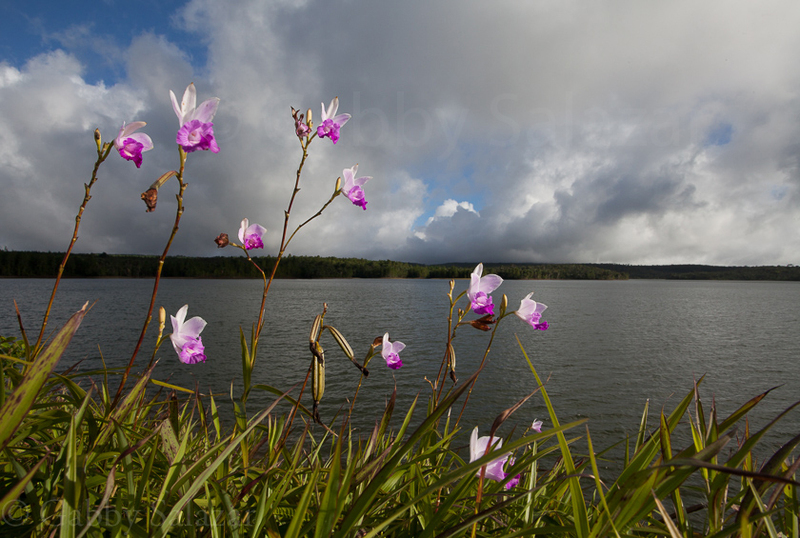 Bamboo orchids (Arundina graminifolia) growing along the side of a reservoir in Black River Gorges National Park, Mauritius. After a few days basking on the white sand beaches of Mauritius, I was ready to explore the interior. With my tiny orange rental car, I have spent the last two weeks crisscrossing the island, stopping to photograph a colorful graveyard next to the ocean or to watch the sunset over a waterfall. 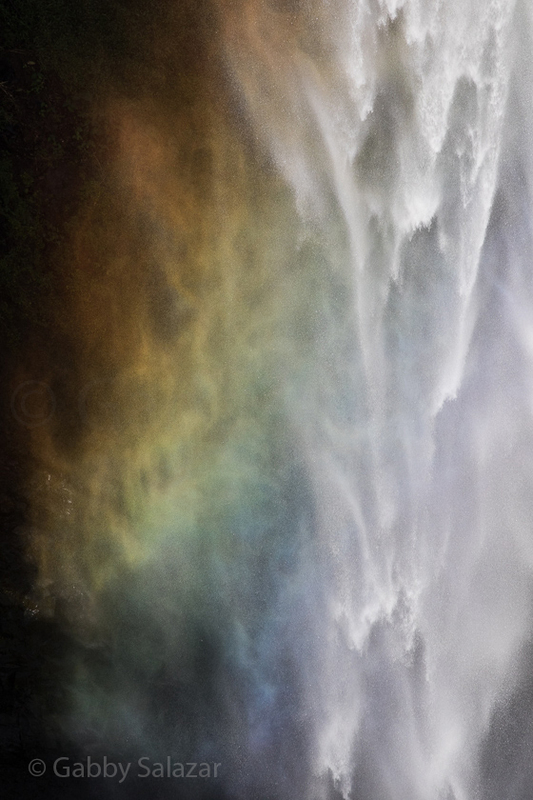 A rainbow spreads across the Chamaral Waterfall in Black River, Mauritius. Throughout my meanderings, I carry a notebook with me and mark down places I should return to with a different lens or at a different time of day. My notes read “Giant fruit bats swoop at dusk – bring 70-200mm lens and flash” or “Return in one week to catch hibiscus in full bloom.” I have amassed quite a list of possibilities and hope to bring Rick along to the best spots when he has time off from his classes. In addition to exploring on my own, I have found a great travel companion. A few months ago, I met a Mauritian woman named Stephanie Manuel on Facebook through a delightful happenstance. A colleague had started a discussion about the lack of female wildlife photojournalists and Stephanie responded and shared a bit of her story. I reached out to her and we’ve been corresponding since that time. This week, we met up for two days of hiking and photographing and I’m thrilled to have found such a sweet and talented travel companion (check out more of Stephanie’s work on her website: http://www.stephaniemanuelphotography.com). 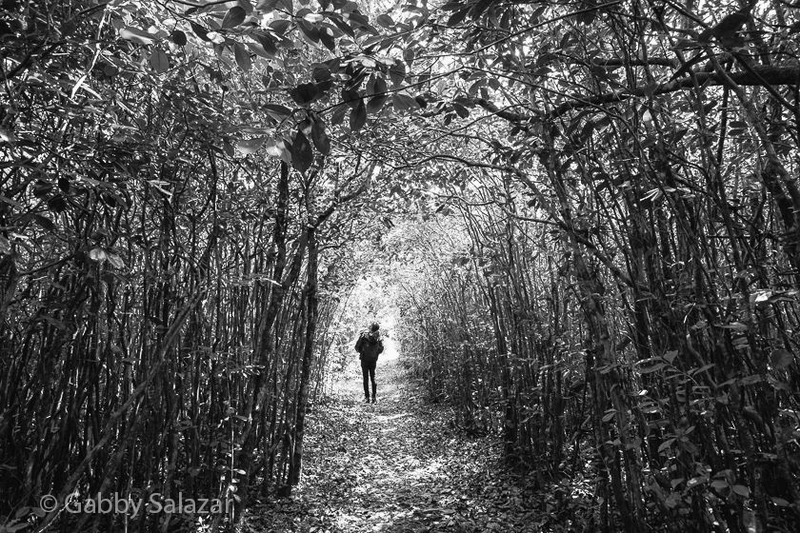 Stephanie Manuel hikes through a grove of guava trees in Black River Gorges National Park, Mauritius. One of the highlights of my week was hiking to the Summit of Piton du Canot, one of the easier peaks to access here in Mauritius. Four of Rick’s classmates went with me on the hike and they were great sports as I lingered to photograph the landscape and the last rays of sunlight. We got on the trail around 4:30pm and were able to make the Summit – a short, but rigorous hike – in about 45 minutes. From there, we had a 360-degree view of the island – from never-ending turquoise water on one side to rolling mountain ranges in the interior. As the sun cast rays over a small offshore island, I breathed deep and took some time to be thankful. 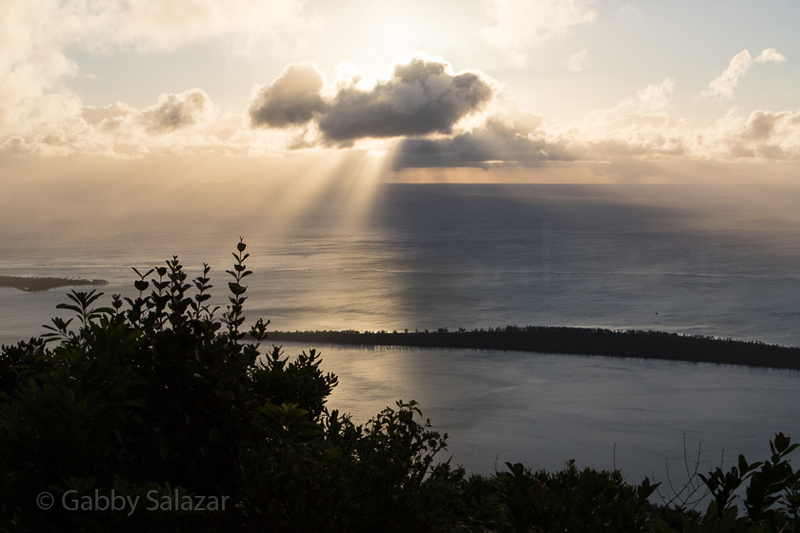 Sunset over Ile aux Benitiers as seen from the Summit of Pinot du Canot mountain in Mauritius. On our way down from Piton du Canot, we were also surprised when a giant fruit bat swooped by just a few feet over our heads. It banked in the wind and we were able to see its red fur glowing in the last rays of sunlight. From a nearby overlook we watched as dozens of bats circled over the forest canopy, silhouetted against the ocean. The Mauritian fruit bat is an endangered species, so it was pretty magical to see it so close, juxtaposed against the ocean and villages below. I’ll be returning there soon in hopes of photographing the bats at close range. I will share more soon from my adventures. For now, here are a few favorite images from the past week. 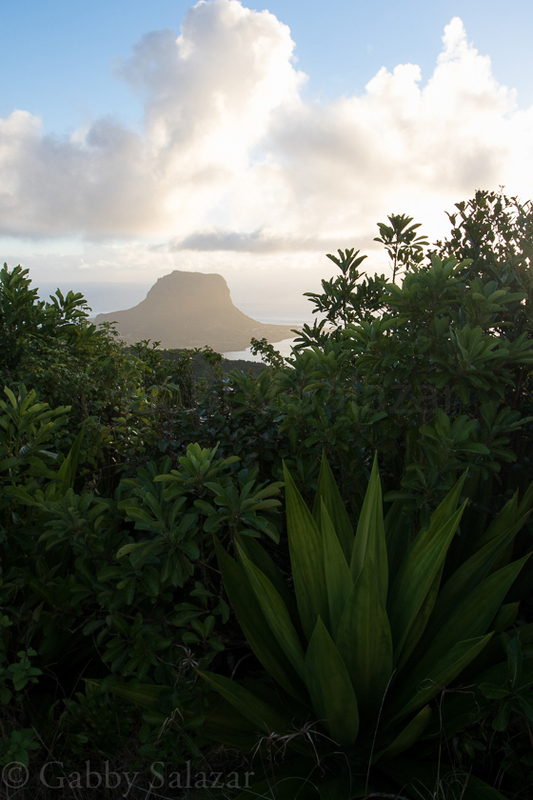 This week’s plans include a visit to Ile aux Aigrettes (an offshore island run by Mauritian Wildlife Foundation) and a search for jewel-like day geckos. 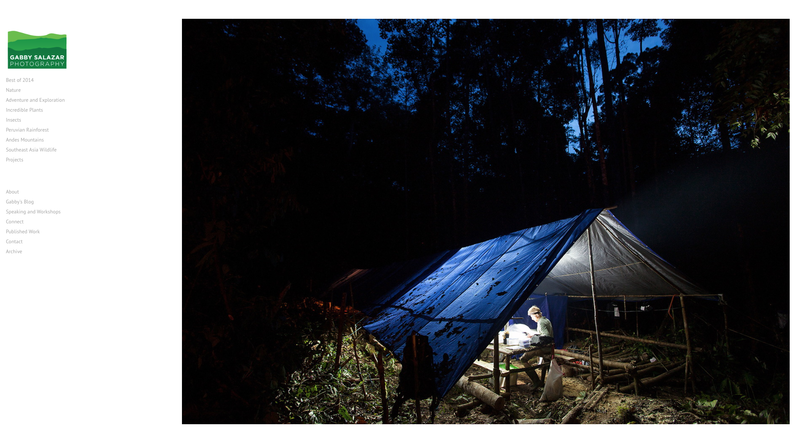 Want to see daily updates from the field? Follow me on Instagram at @gabbyrsalazar. 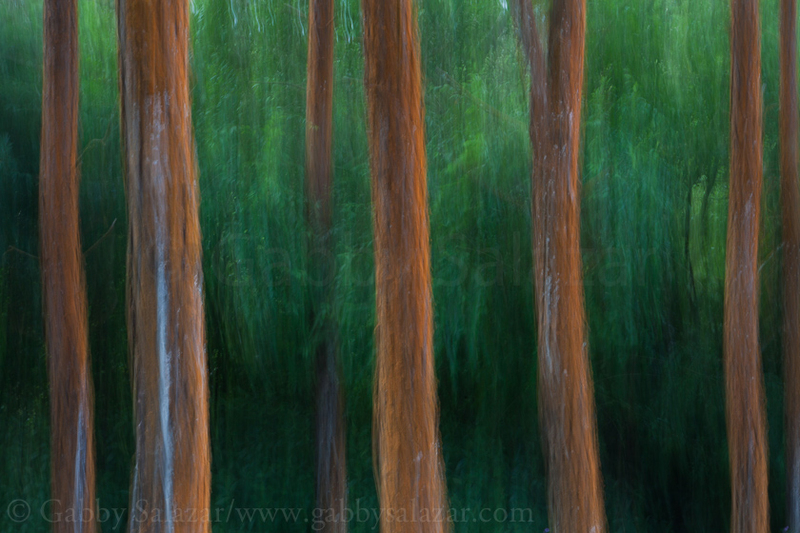 Trees near Bois Cheri Tea Plantation in the highlands near Black River, Mauritius. Sunset as seen from the Summit of Pinto du Canot Mountain in Mauritius. 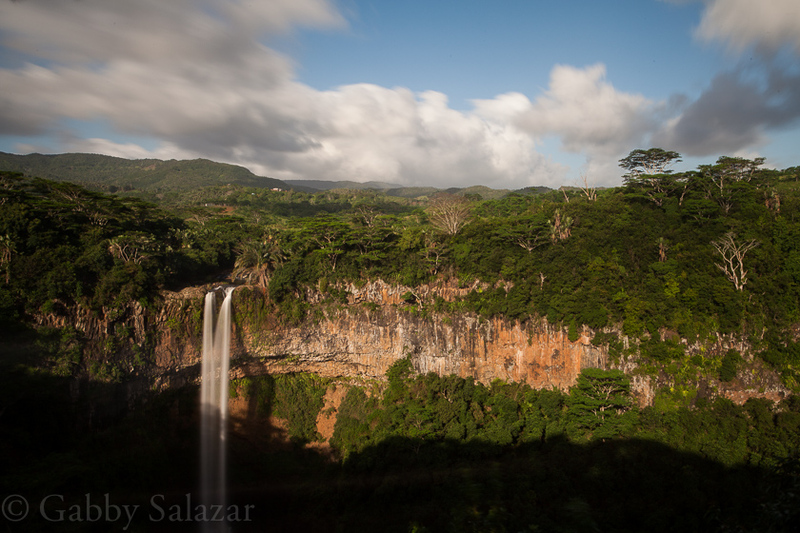 Chamaral Waterfall in the late evening, Black River, Mauritius. 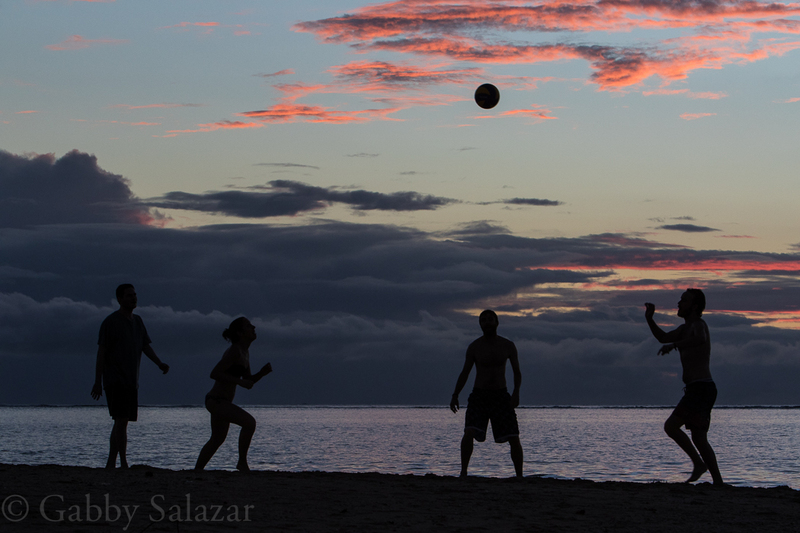 Rick and his classmates play ball on La Preneuse Beach at sunset in Mauritius.